Fit for the fiercest warriors of the highlands. These Greatswords feature an extra layer of PUR foam for increased durability. The weight towards the tip is reduced for greater flex and better handling of this big sword. These foam LARP swords are the most advanced on the market. A durable glass fiber core with reinforced tip is surrounded by soft and semi-hard foam. Before assembly the guard is coated in rubber greatly increasing durability. 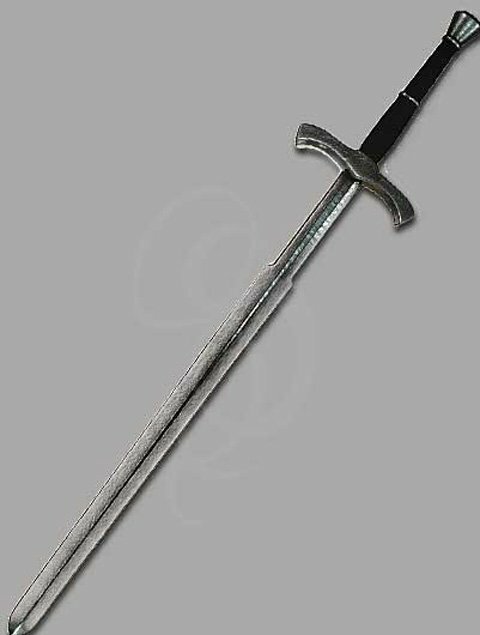 The entire sword is then given a 10-step coating process resulting in an equal layer of very strong rubber. Once the handle is wrapped in leather you have the strongest foam sword made specifically for LARPing available.